We write these ‘Studio Life’ articles to showcase the work filmed here and provide examples to others about what is possible in our two greenscreen studios. With that in mind, the first place we’d like to take you in this article is to the “behind-the-scenes” photographs on our newly re-launched website. Scroll down the page and you’ll see many examples of both studios in different set ups. We often end up here when speaking over the phone with clients about their plans. A picture really can say a thousand words. Music Videos are always popular – we have half a dozen or more every month. Early in the New Year we welcomed 80’s icon Kim Wilde who was here filming her comeback single “Pop Don’t Stop” with brother Marty Wilde. .
Also becoming popular are Instagram Influencer videos. A good example was in last week. We can’t mention names but over two days they filmed well known YouTubers, Radio presenters and similar providing their views, opinions and advice on a range of health and beauty related subjects. Enough material for 10-15 videos I was told. The videos go onto Instagram where some will prosper and some won’t. Our objective is to be considered as London’s leading independent film studios. To this end we have been focused on our larger Studio 1. We recently installed brand new space lights to further improve our grenscreen cyclorama. These lights are dimmable, managed from the wall. We also installed a new black drape and track that means we can black out Studio 1 in minutes – great for killing green spill, damping the acoustics and providing flexibility for a variety of filming needs in one day. 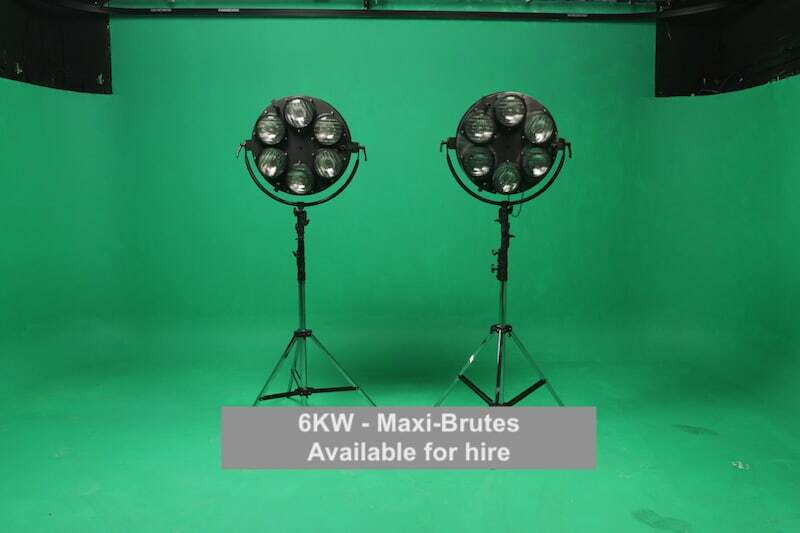 We now have two 6K Maxi-Brutes for hire. These monster lights provide a punch and a half. We are often asked to provide kit and crew for shoots at the studios. If you think we can do the same for you then take a look at our Packages webpage and get in touch.